Saturday afternoon’s encounter with MP Black Aces will be the third time in three seasons that these two clubs clash in the Nedbank Cup. The match takes place at the Kanyamazane Stadium near Nelspruit, kick off at 3pm, Saturday, 2 April 2016. In the 2013/ 2014 season, Maritzburg beat Aces 2-1 in the last 16, the game having taken place at the Harry Gwala Stadium. After Aces had fought back to equalise Kurt Lentjies’ 35th minute penalty kick, Terrance Mandaza notched an extra time winner on 112 minutes. United went on to make it as far as the semi-finals that year, losing 2-1 to eventual champions Orlando Pirates. The following season though, AmaZayoni took revenge with a 2-1 home victory in a last 32 game played on February 15 2015. Overall, in terms of league and cup, there is very little to separate the two clubs. In the 11 games played, each team has won five matches, while there has been one draw. 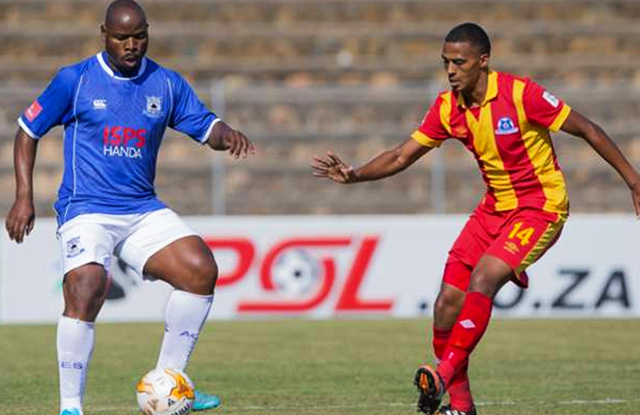 In a league game played earlier this season, AmaZayoni inflicted a 4-1 home win over Maritzburg. The Team of Choice booked their last 16 spot in the Nedbank Cup 2016 with a 3-1 win over Black Leopards, while Aces thrashed Second Division side United Rovers 7-0. Recent league form has seen the Team of Choice with the better return, United having won two, drawn two and lost one of their last five games, claiming eight points out of 15. Aces meanwhile have claimed only two points from their last five Absa Premiership encounters.